Sarah Huckabee Sanders pulled out all the stops to cover up for her boss, but the brave reporter publicly exposed her fiction. He had better tread lightly or his favorite propaganda soapbox could vanish. Take Action: Add your name to demand Twitter remove Trump ally and dangerous conspiracy theorist Alex Jones immediately! The president was about to sign it, and he never even noticed it was gone. He refused the shake the grieving father’s hand at the hearing. Now, Trump is pulling out all the stops to defend him. The famed Watergate journalist revealed her tantrum when Bannon called her out. Action Successful! : Thanks to signatures from people like you our petition to demand Lord & Taylor stop selling Ivanka’s products was successful! Ivanka had to close down her fashion brand! 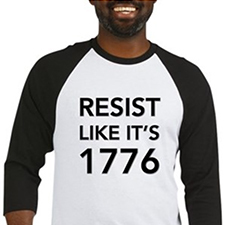 Wear exclusive gear from the official store of OD Action and use #ResistanceMerch to show your support for the resistance. Brett Kavanaugh’s confirmation hearings for Supreme Court Justice are underway in the Senate today, expected to conclude as early as Thursday. We need all Democrats and two Republican Senators voting no to overturn Trump’s nominee. Eleven Senators are still undecided: 8 Democrats and 3 Republicans. It is still possible for the Senate to vote down the man chosen for the purpose of shielding Trump from punishment for his crimes of conspiracy, obstruction, and campaign finance violation. But these eleven Senators must hear so from their constituents…and only their constituents. Which means that our road to success is talking to the voters of those states and convincing them to call their Senators. That’s why the good folks of Indivisible have created a #SaveSCOTUS phonebank, connecting progressives around the country with the voters in key states who absolutely must speak up this week. Sign up for a shift in Indivisible’s phonebank platform, today through September 10, to call voters in states with an undecided Senator and #SaveSCOTUS. Trump has already confirmed one Justice on the Supreme Court, a seat Republicans stole from President Obama. A second seat will solidify Trump’s far-right voice on the highest court in the country for decades to come, an unimaginable impact from a president currently under investigation for multiple crimes. What’s at stake, based on Kavanaugh’s extensive record: a Supreme Court Justice who could stop Mueller’s work or vote down any repercussions for Trump’s crimes. On top of that: Roe v. Wade, voter rights, immigration rights, net neutrality, LGBTQ rights, gun safety…decades of progressive causes lost by this faulty nomination. To stop this, it is crucial that progressives in every state pick up the phone and speak to voters with undecided Senators. Sign up today for an Indivisible phonebanking shift to call voters in states with an undecided Senator. The final shift is Monday, September 10…so don’t delay taking action to #SaveSCOTUS! An hour of your time now could be the deciding factor in half-a-century or more of future policy. 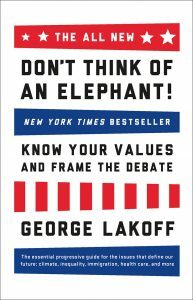 PS — Please don’t forget to sign the petition to tell Senate Democrats to stand united against Trump’s supreme court pick, and check out the brilliant “Don’t Think of an Elephant” by George Lakoff — a quick read that contains the ultimate keys for Democrats to win elections — and arguments.